For quality and professional service, look no further than your local tree experts at Youngs River Trees Stump Grinding & Tree Service. 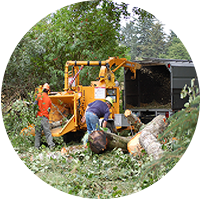 We are a licensed, insured and bonded company serving residential and commercial customers with quality tree care, repair and removal services from Astoria to Seaside and beyond. Don’t go out and rent a stump grinder. It’s dangerous and you’ll spend way more time than expected to get the job done. From stump grinding to shrub removal, our professional team provides quality and friendly service. We don’t leave the property until the job is done, so you can count on us to get it done from sun up to sun down. We are a 24-hour Storm Emergency Service, serving Clatsop county with prompt and professional cleanup services when you need us most. Our proof of insurance and bond proves that we take care of you. So while competitors may boast about their cut rates, they won’t be the ones with the bill when unexpected damages happen to your home or vehicle.